Mom's Gone Bronson! : Put Softsoap Foaming Hand Soap in Your Gift Baskets this Easter! 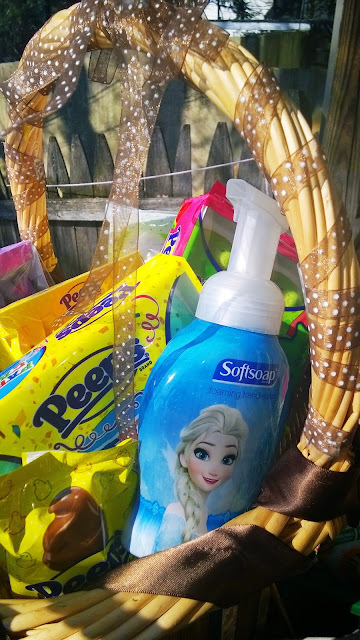 Put Softsoap Foaming Hand Soap in Your Gift Baskets this Easter! Disclaimer: I was provided with products from Colgate-Palmolive in exchange for my honest opinions; your views may differ to mine, thank you! Every year, we fill up a gift basket for the kids with various candy, for Easter and this year is no exception! The kids get sticky and they have a good time with it - they also run around the yard getting dirty during Easter egg hunts, blasts and dashes! That is why, this year I am including these fun Softsoap bottles of foaming hand soaps in Frozen and Star Wars designs, along with any goodies in their baskets! 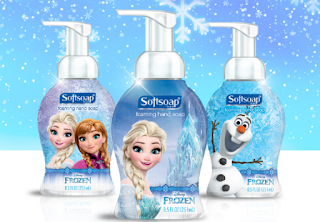 I love how Softsoap smells and it is easy for all to dispense -even for the little ones. What better way to keep them clean and not sticky through the adventures of the day? 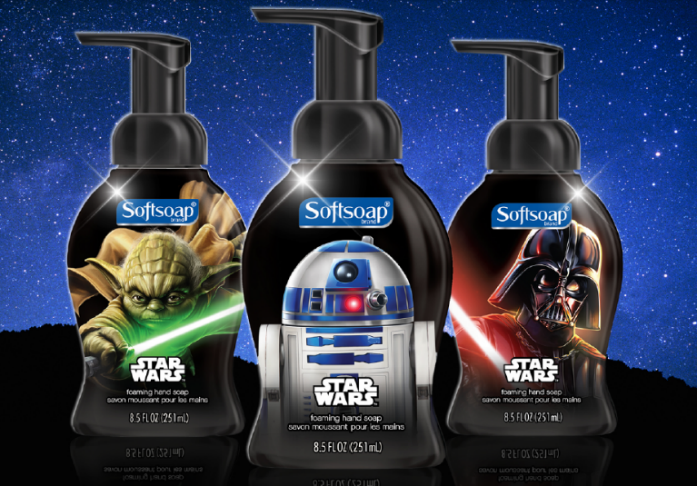 We all love the designs on the bottles and there is something for everyone from Elsa to R2D2! 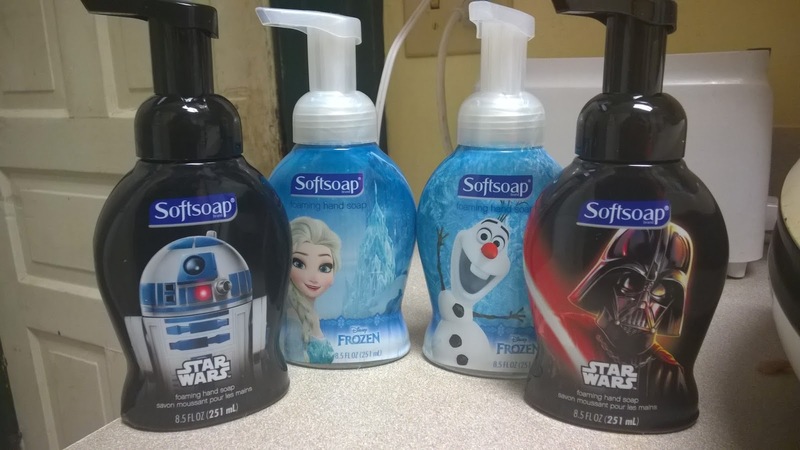 My step son and my son both like Star Wars and my younger two love Frozen, so everyone is encouraged to wash up fresh and clean with their favorite characters! You can currently find: Elsa, Elsa and Anna, Olaf, Darth Vader, R2D2 and Yoda! You can check out the full range of designs in stores, now, and pop some in your baskets to keep those sticky mitts clean with characters the kids adore! 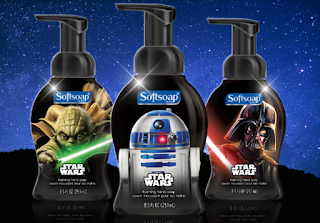 You can find Softsoap on Facebook, too, if you'd like to stay in the know!